Ever wanted to know if you needed to run to catch that bus or train…no, well I did! 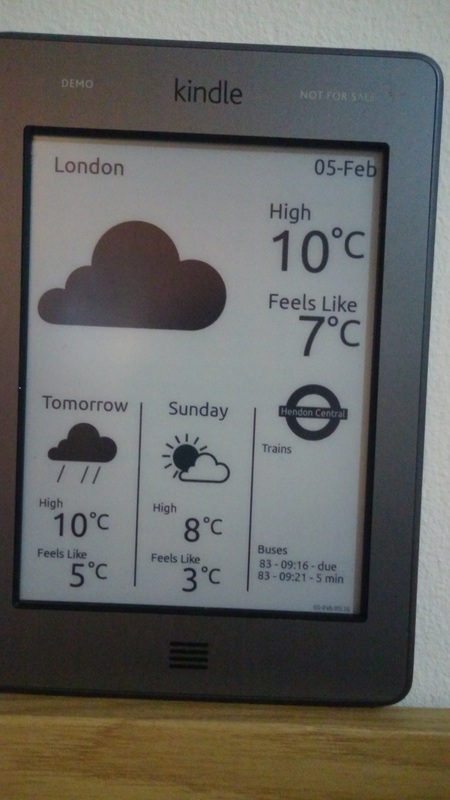 A simple ambient display to show bus and train times for a local stop, with weather info to let you know if you need an jacket on the way out. Uses a kindle display to non-intrusively show info and looks great on its non-backlit e-paper display. 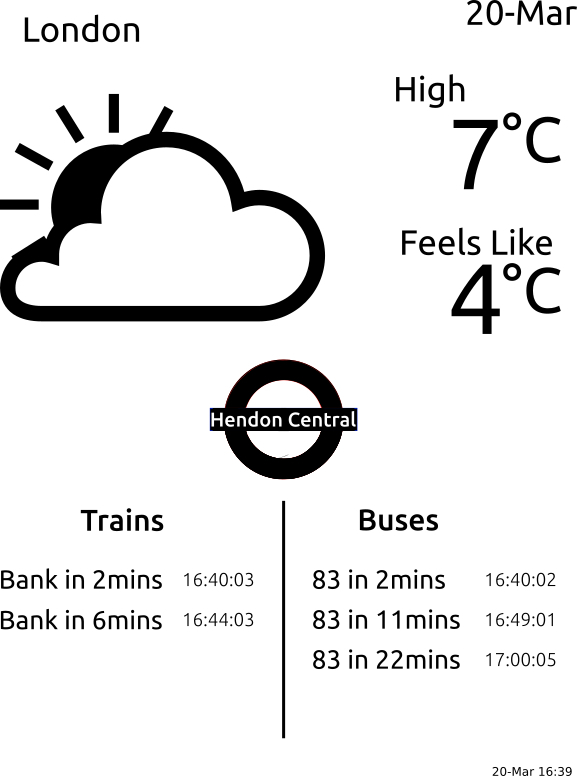 Written in Python utilising the MetOffice and TfL open data APIs to grab weather and transport information, respectively.